Leverkusen, 22 February 2018. For its global training programme on brake services, the brake specialist TMD Friction will draw on its comprehensively updated training materials from February on. 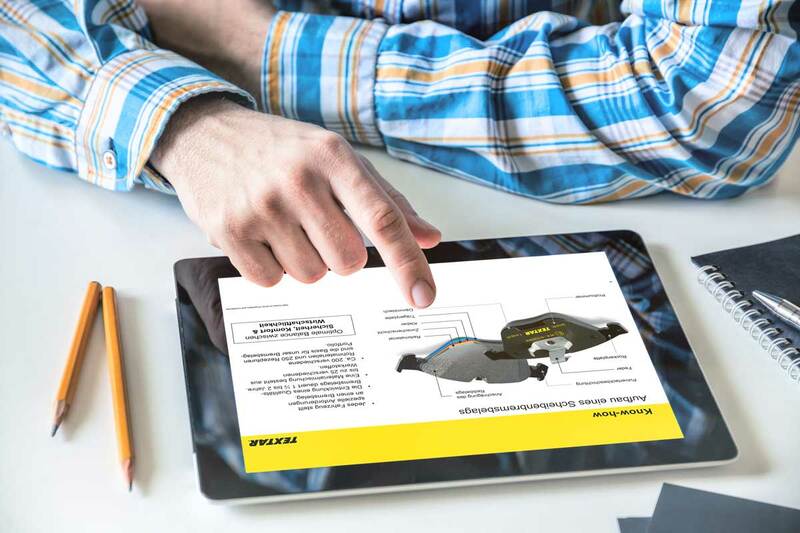 In order for workshops to correctly and efficiently test and fit the most modern braking devices, it is crucial that they stay up to date concerning recent developments in advanced engineering. TMD Friction is therefore devoted to consistently assessing and developing the content of its training programmes for its workshop, service hotline and sales employees. The latest update to the training documents for the Textar brand is not only focused on making the presentations more visual so as to make the training content quicker and easier to understand, but also presents a number of comprehensive updates to the content itself. The training programmes include topics such as general information on how to work on the brakes and legal guidelines concerning processes such as damage assessment and noise emissions. Both the graphics and the content of the new materials were developed by the in-house team at TMD Friction. The content has been created with the close cooperation of TMD Friction Groups team of internationally active, technical trainers so that it takes all of the global technical expertise into account. The target: Every participant should benefit from the global pool of knowledge and be trained according to the same high TMD Friction standards no matter where in the world they are based. As the trainers have direct contact to the customers, they consistently know exactly what the wants and needs of the training participants are. “Thanks to our training programmes we can pass on our brake industry expertise to our customers. It is therefore very important to us that the information we provide our participants with corresponds to the technical specifications of the brake industry as industry challenges are constantly increasing. Workshops in particular have to be informed about technical changes in due time as this is the only way they can ensure they offer their customers the best possible brake pad fitting service and can identify the causes of noises or other defects early on and correctly assess and prevent them,” explains Hartmut Kiessling, Technical Sales Manager & Trainer at TMD Friction. TMD Friction places great importance in detailed technical consultation and training programmes concerning brakes and safety and offers training programmes all over the world. With its Professional Website TMD Friction is expanding its range of in-service training programmes online and posts up-to-date, detailed knowledge and tips for repairing and maintaining brakes presented in the form of checklists, instruction guides and video tutorials. Caption: In close cooperation with the technical trainers, the Textar in-house team has developed the new training materials with the aim of training participants all over the world to the same high TMD Friction standards. Photo: Copyright TMD Friction, 2018. Free reprinting permitted as long as the source is quoted. Please send us a specimen copy.